The famous elevator at PARKroanoke is getting modernized. The good thing, ThyssenKrupp elevator Americas is doing the job so it will be awesome! 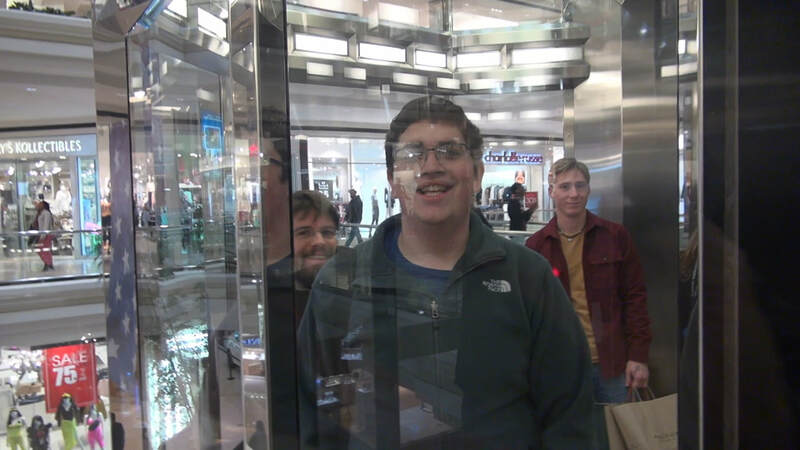 What is just as awesome is that the old elevator will live on in the elevaTOURS museum! Below are some photos of what is going on so far. Stay tuned as I will keep this blog more active. As most of you know, my specialty is documenting historic elevators and preserving historic elevator equipment in the elevaTOURS museum. 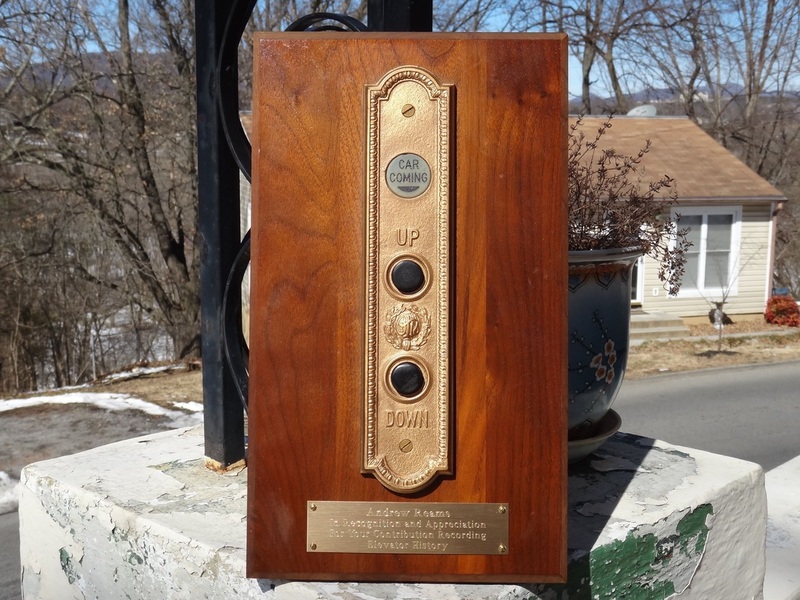 Out of the blue AB See III (AB See elevator's founder's great grandson) Made up this AWESOME plaque out of an old Otis call station. A HUGE thanks and I love it!! I removed the cord and relamped it with a 6V lamp. It is now powered by a 9V battery and I put a switch on the rear for always on. 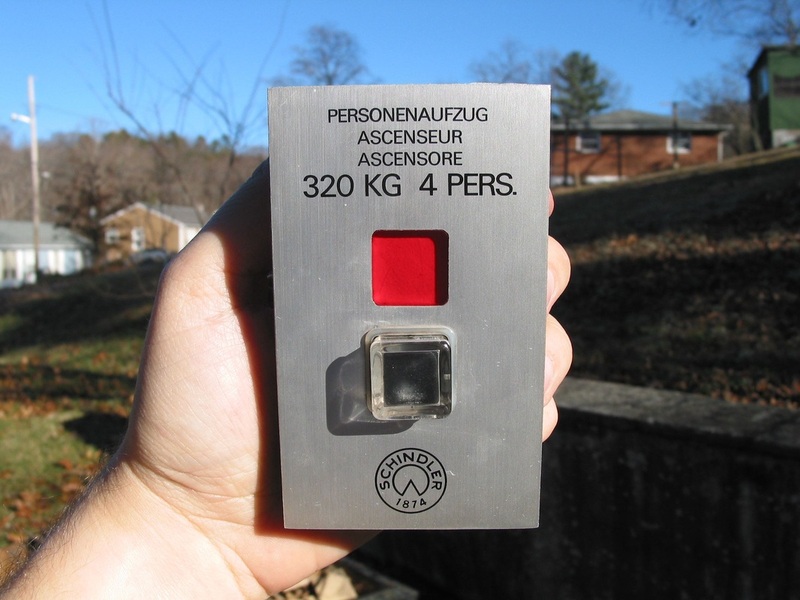 It will be perfect for my Historic Outdoor Elevator campaign. Speaking of which I encourage you to participate in this campaign! 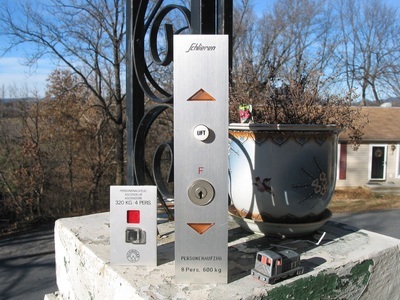 Take your elevator parts out and photograph them and tag them #HistoricOutdoorElevator for vintage stuff and #OutdoorElevator for modern stuff! elevaTOURS was in the January issue of Elevator World Magazine!